Come in and experience the Perfect Eyebrow difference. It's convenient, quick and affordable. 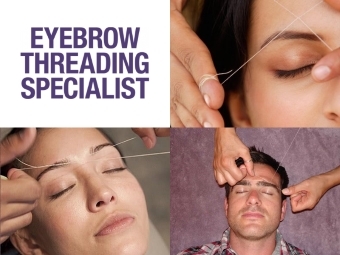 Eyebrow Threading is a great way to keep your brows looking in great shape. Whether you have a special occasion or just want to look your best, inspire confidence and look your best with our professional threading service. Classic lash extensions are a beautiful way to enhance your natural lashes. 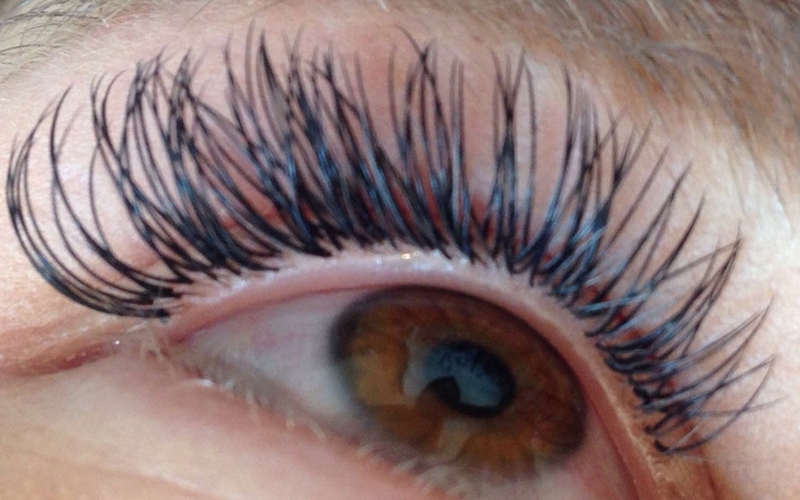 A single lash extension is stuck onto each individual natural lash to create the look that you desire. These light, comfortable and natural looking eyelash extensions are available in a variety of curls, lengths and thicknesses, ideal for creating the look you want. I am delighted to announce that at Perfect Eyebrows I am now offering Feather touch/Microblading. Eyebrow tattooing has been around for a while, but it's undergone a serious makeover of late and if you've tried every pencil, powder, pigment, gel, and stencil and your brows are still off fleek, then feather touch or microblading promises to change your brow life. 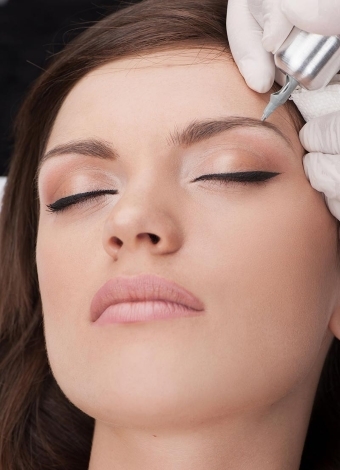 Feather touch or microblading is semi-permanent tattooing of the eyebrows. It's also known as Feather Touch brows, Eyebrow Embroidery, Eyebrow Tattooing; the list goes on. The process involves micro-pigmenting fine strokes that mimic hair into the outer layers of the skin. These thin lines flow in the same direction as your own eyebrow hairs, to create crisp and natural results. The results are very natural and can go undetected. Some clients may not be a suitable candidate. Before booking in for an appointment with us please ensure that you have read through the below list. Do not drink ALCOHOL or CAFFEINE before the procedure (at least 24 hrs for alcohol as it thins the blood and will affect pigment retention). Do not take Advil, Aspirin, Niacin, Vitamin E, Fish Oils and/or Ibuprofen or other blood thinners unless medically necessary, 12-24 hours prior to your procedure. Taking these prior to the appointment will cause unnecessary bleeding, giving you unsatisfactory results - bleeding pushes the pigment out of the skin. If you are undergoing chemotherapy. Slight redness and mild swelling is normal. Some patients experience itching and redness during the first week, which Vaseline can alleviate. Swimming in chlorinated water does effect the tattoo ink, so avoid excessive exposure. I find brows tend to fade quicker with the people who regularly go to the gym so no sweaty workouts or washing your face with water. You need to protect those freshly bladed brows from all moisture for 5-7 days. How Long Will Microblading / Feather Touch Last? Feather touch brows generally last between 12 & 18 months. I offer a touch up for my clients at a reduced price, which is a fantastic way to maintain your feather touch brows, but it is not a necessity. If clients leave their brows to fade without a touch up, brows will last generally between 12 & 18 months. Depending on the skin, some can last up to 2 years. Results vary from client to client. Please contact me to discuss any questions or queries on 0401 518 278 or email me at eye4brows@hotmail.com. EyEnvy is a breakthrough brow growth formula that improves the length, volume and thickness of both eyelashes and eyebrows. This amazing product uses natural vitamins, minerals and bio-peptides to lengthen, strengthen and thicken eyelashes and eyebrows. A simply daily step is all you need to follow to grow your own beautiful long, and luscious lashes and to thicken and enhance your eyebrows. In the morning, after thoroughly removing all traces of makeup and other contaminants from the eye area with a mild cleanser, a single stroke of the applicator along the base of each set of eyelashes is all that is required. Let it absorb for a couple of minutes and you're done. Be sure the product is thoroughly dry prior to any make-up application. There's a reason why this growth serum has been selling like hot cakes. Seems word has got around about how amazing it is to get longer, fuller lashes and thicker brows. It's great for clients with and without extensions and perfect for repairing damaged lashes and brows. I typically see results within 3 to 4 weeks. It is one of the quickest, non-reactive lash conditioners on the market. All your friends will have EyEnvy! I am proud to carry this revolutionary product for my clients to assist then with maintaining lash health and promoting stronger lashes. The 3.5ml / 0.118 fl oz size is available for purchase for $123. To enquire or order this incredible product, please call me on 0401518278, or email your contact details (name, address and phone number) to eye4brows@hotmail.com.